Posted May 10, 2005 by Pam Nelson & filed under Uncategorized. 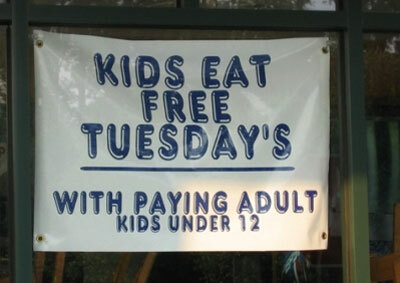 Here is a sign that uses an apostrophe to make a plural. It’s on a restaurant in Clayton. I’ll be on the lookout for more examples.